Why Simplify Calendrical Calculations for New Jonang Observances? The Tibetan calendar systems that survive today were originally criticized by Indian experts for the wrong order of months, as the Tibetan month Chaitra occurs a month later than in India and Kashmir. The main reason for this was the erroneous concept that the winter solstice and other seasonal phenomena were observed in Tibet approximately three weeks before they were observed in India. This is factually wrong, and caused the Tibetan calendars to contain major errors. For political and historical reasons, Tibetans have felt the need to combine their calendar, based on the Kalachakra, with the Chinese calendar. However, the first month of the Chinese year is the one during which the Sun enters Pisces, and the first month of the Kalachakra year is the following month, during which the Sun enters Aries. These are known respectively as the early- and mid-spring months. Tibetans have chosen the Chinese New Year over their own Kalachakra determination for centuries. This combination of the Chinese and Kalachakra systems does not pose any major difficulties, other than the determination of the New Year. The intentions behind the Tibetan attempts to make this combination are clear enough, and the two systems are sufficiently compatible to make this straightforward. The structure of the Kalachakra calendar depends upon the calculation of the longitudes of the Sun and the Moon at ‘Mean Sun’ daybreak (5.00am Local ‘Mean Sun’ Solar Time) for the chosen geographical location. There have for many centuries been obvious differences between the results derived from the calculation of Tibetan calendars and the position of the Sun, Moon, and planets in the sky, and the timing of celestial events. This is one reason behind the variety of calendars that have been created. The Phugpa is the most popular today, and some still use the Tsurphu system, but there have been many others. The main problem has always been the need to reconcile the understanding of the calculations given in the Kalachakra system and the motions of heavenly bodies as observed by the Tibetans. In general, the Tibetans have struggled as a result of not understanding the nature of precession, sometimes not even acknowledging its existence. As a result they have effectively assumed a sidereal zodiac, not realizing that such an approach is in direct contradiction to the methods given in the Kalachakra literature. Indeed, they have tried to follow those methods, and have taken solstice measurements in order to determine the longitude of the Sun, but have done so with a mistaken understanding that the zodiac is fixed in the visible stars. These are ultimately irreconcilable, and the Tibetans will continue to have problems with their calendars and introduce errors into them until they accept the reality of precession. There have therefore been many attempts since the first calendars based on Kalachakra were introduced into Tibet to improve on the calculations and reform the calendar. Ironically, the only one that actually used the method of the Kalachakra without twisting it to suit mistaken views on the nature of the zodiac was Zhonnu Pal’s in the 15th century. There has been no similar attempt since that time. One recent development has been a reformed “Tantra Method” (rgyud lugs) calendar developed at Sherab Ling, in Himachal Pradesh, northern India by Kojo Tsewang Namgyal (go ‘jo tshe dbang rnam rgyal), formerly of the Tibetan Medical and Astrological Institute in Dharamsala. The Tantra Method is the result of investigating the errors in the calendar for many years, and conducting solstice determinations using a gnomon and midday shadow measurements, as described in the Kalachakra literature. However, this method denies the existence of precession, and claims that the seasonal points (such as the spring equinox and the winter solstice) are in the same positions relative to the stars now as they occupied at the time of the Buddha. As a consequence, this calendar contains similar errors to other Tibetan calendars. There are three important points where this calendar differs from the standard Tibetan (Phugpa) system. It resets the solstice solar longitude in the light of direct solstice determinations, but instead of setting it to 20;15,0 (0° Capricorn) as specified in the Vimalaprabha, it sets it to 18;31,30. This is the same figure that was used when the Phugpa system was set in the 15th century, and seems to have been chosen in a mistaken attempt to match the apparent positions of the planets with the visible stars. In doing this, the Tantra Method effectively removes the accumulating calculation errors that accrued in the Phugpa system during the past six hundred years, but accumulates errors prospectively. The Kalachakra Tantra and Vimalaprabha contain a set of variable figures for determining the time of the change of year. These figures yield a figure for the length of the solar year that is different from both the original karana calculations as given in the Tantra, and the siddhanta calculations derived from the Vimalaprabha by the Tibetans. It is the latter that is used in all other Tibetan calendars. The year-change solar year length is more accurate than the siddhanta figure. The Tantra Method uses this figure because of the way in which the year-change is highlighted in the Vimalaprabha, although it is not used there for the main calculations. Finally, the Tantra Method sets the Tibetan months properly in line with the Indian months. This has been a glaring error in Tibetan calendars for several hundred years. It was pointed out as early as the 13th century by Kalachakra experts that in India and Kashmir the months named Chaitra and so forth occurred one month before they did in the Tibetan calendars. This advice was noted by the Tibetans, but ignored by most of them. Zhonnu Pal corrected this in his calendar, but since his time (15th century), the Tantra Method calendar is the first to do so. In the Tantra Method calendar the first month of the year is Phalguna, rather than Magha, as in the Phugpa and other systems. A variant on the Tantra Method calendar has been published since 2006 by the Jyotish Department of the Central Institute for Higher Tibetan Studies (now the Central University for Tibetan Studies) in Sarnath, India. This uses the Tantra Method calculations, but styles the almanac along the lines of a general Indian calendar, with daily information printed in concise tables. The main difference with The Tantra Method calendar lies in the definition of the months. 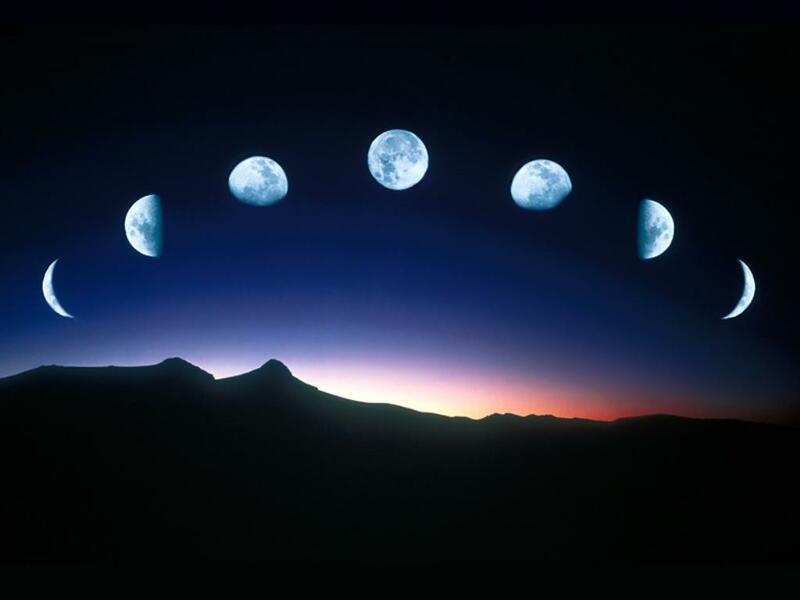 A lunar month can be defined in two different ways, either running from Dark Moon to Dark Moon or from Full Moon to Full Moon. The first of these is called waxing-first (yar ngo sngon ‘gro), in that the waxing fortnight comes before the waning fortnight. In this system, the waxing fortnight commences the day following Dark Moon, and culminates with the day of Full Moon. The next day starts the waning fortnight which concludes on the next Dark Moon day. This is how the months are structured in normal Tibetan calendars, following the system defined in the Kalachakra Tantra and Vimalaprabha. However the original Kalachakra Mulatantra used the waning-first (mar ngo sngon ‘gro) in which a month starts with the waning fortnight immediately following Full Moon, and is followed by the waxing fortnight, ending with the next Full Moon. This was the original Kalachakra system, but it was changed when the shorter Laghu Tantra was composed in order to enable Hindu followers to accept the Kalachakra methods. Both types of month have been in use for many hundreds of years in India, and one can assume that the waxing-first system predominated in the area in which these original Kalachakra materials were composed. The effect of using this waning-first month definition is that the months start a fortnight earlier in this system than in others. There are important issues with regard to the Kalachakra calendar that require further research before they can be finally settled, related to the definition of the months. The months are defined by the Sun entering one of the signs of the zodiac. This is also the case in the Chinese calendar, and it appears that the Chinese were influenced in this by Indian Buddhist calendrical experts. However, the texts that describe the Kalachakra calendar make use of the ‘Mean Sun’ for determining months, not the ‘True Sun’. It is possible that if the tradition had continued in use in India, it would have evolved to have used the ‘True Sun’. Other Indian systems did eventually use the ‘True Sun’, as did the Chinese calendar since the reform of 1645 C.E. However, use of the ‘True Sun’ introduces other problems. If the ‘Mean Sun’ is used to determine the months, then there is a fairly regular occurrence every 32 or 33 months of an intercalary month (a month during which the Sun does not change sign). If the ‘True Sun’ is used, there are years when this regularity breaks down, and months can occur when the Sun changes sign twice, and years can occur when the Sun does not change sign during two months. Another unresolved issue concerns the definitions that are applied to the intercalary month. In the normative Tibetan tradition, the intercalary month has the number and other attributes of the month that follows it. However, some Tibetans favor another method, where the intercalary month has the name and number of the month that precedes it. Unfortunately, the Kalachakra literature does not spell this out unambiguously, although it does certainly seem that it originally followed the previous month naming convention. There is a very strong logic to the method of naming the intercalary month after the previous month. If a month is defined by entry into a particular sign, if the next month is intercalary, then the Sun does not change sign and remains in that same sign for the whole of that month. It would make sense for that intercalary month to be named after the sign in which the Sun actually is during that month, rather than the sign into which it will move during the following month. However, the latter method is in general use in Tibet. It is possible that the Tibetan system was influenced by other, non-Buddhist, Indian systems. It appears that some defined the months by the sign of the Sun at the time of the Dark Moon that begins the month. This means that the Dark Moon at the beginning of an intercalary month would happen when the Sun is at the very beginning of a particular sign, and the following Dark Moon would occur when the Sun is at the very end of that same sign. This is not how the months are defined in the Kalachakra literature, but this definition reverses the logic and suggests that the intercalary month should have the same name and characteristics as the month following it. There is another point of concern. A month is defined by the change of sign of the Sun. For this definition, is the month taken as the period between exact Dark Moon and the next Dark Moon, or is it daybreak immediately following one Dark Moon until daybreak immediately following the next Dark Moon? Many of the months will have different names depending on which of these methods is used. The Kalachakra literature again does not spell this out unambiguously, but the calculations make the definition reasonably clear. The month number and name are defined by the change of Sun sign between two Dark Moons, but the months themselves consist of whole solar days, and the first day is the one following the Dark Moon (Dark Moon occurs on the last solar day of any month). In summary, no calendar is entirely free from fault or distortion, and therefore all are fundamentally imprecise. They are conventions. As such, our kind Teachers recommend that we determine the dates of our observances on the basis of the principles of intention, circumstance, simplicity, and perception.